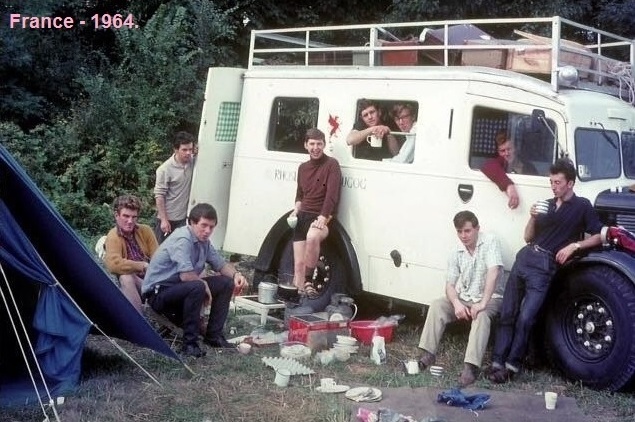 Aradrwr (Ray Dawson Edwards), reporting on The Great Ambulance Adventure, reminded readers of Cliff Richard’s movie Summer Holiday, in which, “Cliff and the Shadows set off on holiday in a red double-decker bus in 1963.” Much less publicised was the venture planned by ten young Welshmen who pooled their resources to purchase an old ambulance for the princely sum of £47. 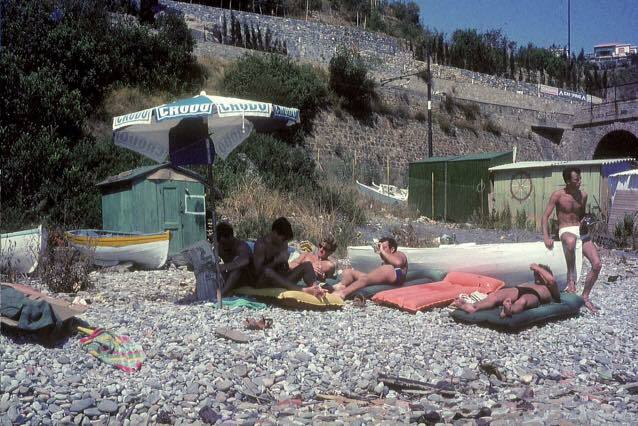 This would enable them to go on their own summer holiday in 1964. 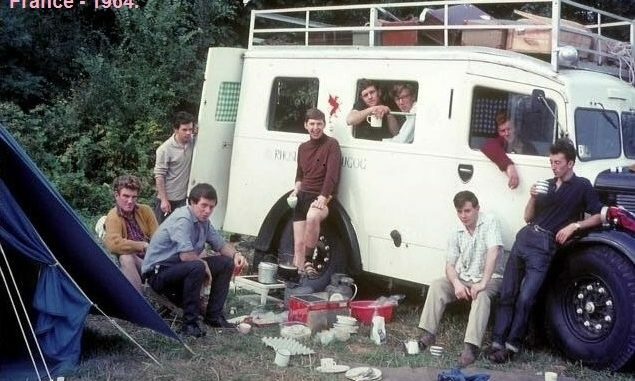 The inspiration behind buying the ambulance came from Huw Roberts, who had witnessed a similar but aborted plan by fellow students at Swansea University. 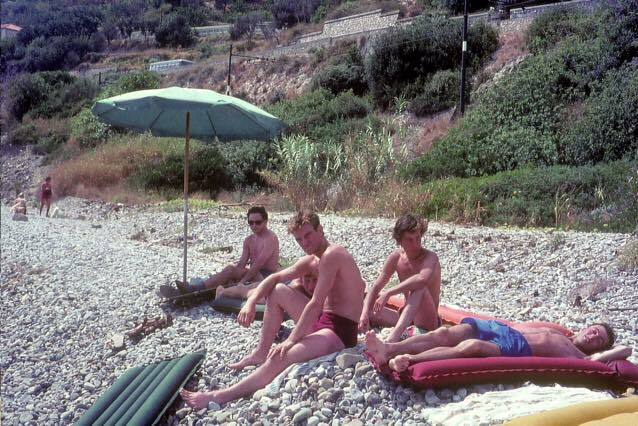 Sunday School teacher Gwilym Griffiths spoke to some of the group about a lovely holiday he’d experienced in the Italian resort of Alassio the previous year. This motivated the lads into choosing Alassio as the preferred destination for their trip. The group immediately set about converting the ambulance into a vehicle capable of sustaining them for a European adventure. 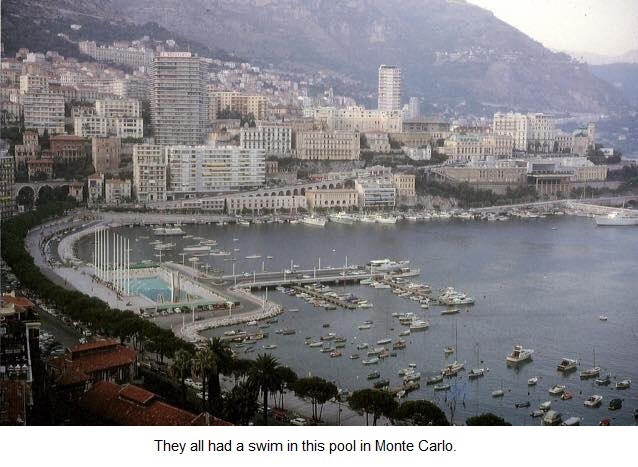 They also began planning an itinerary and a list of tasks to which each man would be best suited. 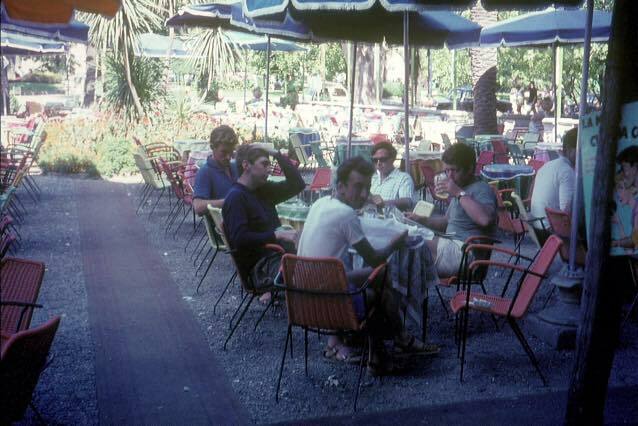 The main driver and mechanic was to be Dennis G. Jones (aged 21), with relief drivers, John (Sam) Evans (aged 19), John Hilton Griffiths (aged 21), and Grevin (Grev) Jones (aged 20). 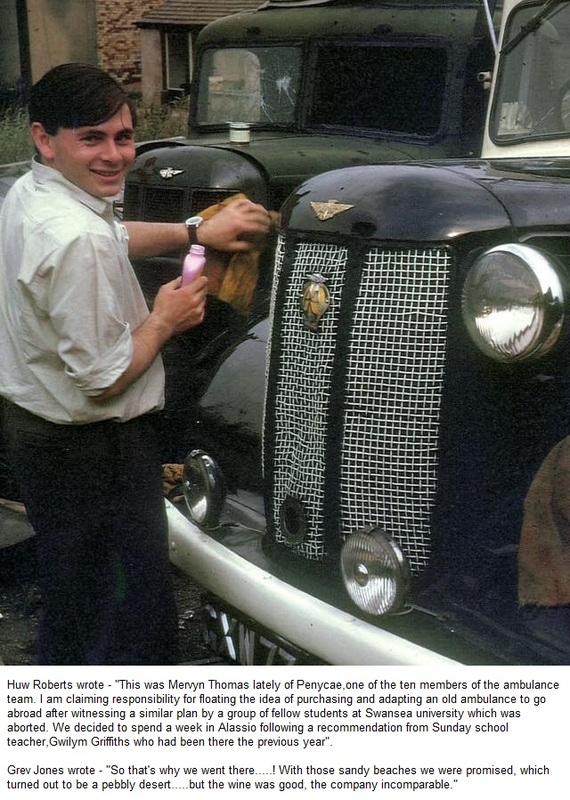 The official navigator was Huw (Stan) Roberts (aged 21) from Ponciau. The resident chefs were (previously mentioned) Dennis G. (Wally) Jones and Gwynfryn (Gwyn/Coch) Gilpin (aged 20) from Ponciau. The remaining group members were Barry (Lou) Lewis (aged 21) from Ponciau; Mervyn (Bob) Thomas (aged 21) from Penycae; Bryn (Bert) Williams (aged 21) from Ponciau and David (Dave) Wright (aged 19) from Johnstown. Mervyn Thomas and Grev Jones were to serve as translators. John Hilton Griffiths was appointed group photographer, as he was the only one with a camera. In 1964, a week before their departure, Grev Jones and Dennis took the ambulance to Chester for a Krypton test, which showed up its MANY weaknesses. The Krypton test actually revealed a staggering 55 faults, and when they told the tester that they planned to drive to France and Italy he loudly exclaimed, “France? I wouldn’t take it to Frodsham!” Despite that, Grev and Dennis agreed to keep quiet about the results and so the lads all went ahead with their European trip – minus Geraint Jones, who was too young to go with them. Dewi Stephen Jones was also due to go with them, but illness prevented him, so Grev’s friend David Wright, from Johnstown, replaced him. Barry Lewis had experienced a minor heart disturbance, so he asked his doctor’s advice before leaving and was assured that the holiday was a good idea. If the doctor could have foreseen what adventures faced them he may not have felt the same way. 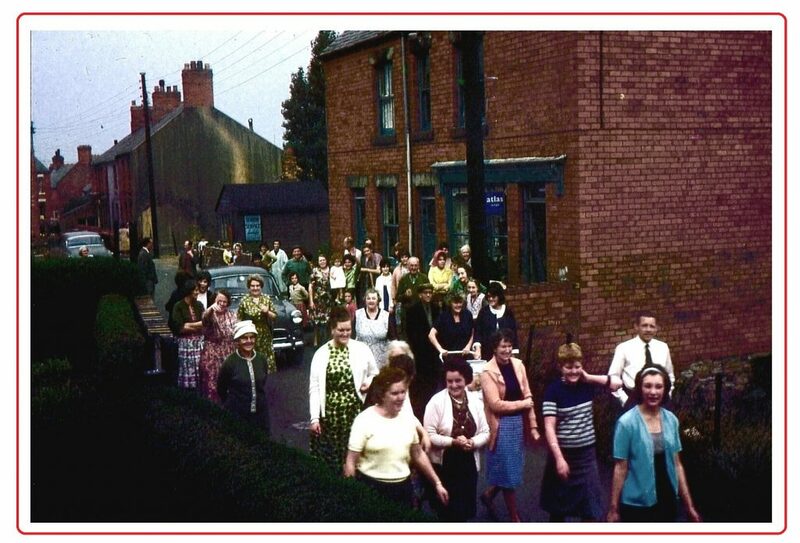 In August 1964, friends and relatives gathered at Darn Tir, North Road, Ponciau, to wish them all bon voyage. Amidst loud cheers and farewells, the freshly painted ambulance, adorned with the word Rhosllannerchrugog (with two n’s) and a red dragon, triumphantly set off, with Dennis driving. 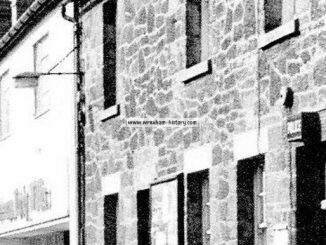 Their resident guitarist, Grev, happily began strumming on his guitar to get a little song started but a string broke before they even reached Fennant Road and was never replaced. Grev Jones had drawn the short straw and so, forty miles short of London, he and Dennis swapped seats and Grev braced himself for the challenge of driving through the London traffic as they journeyed towards the ferry. The hot August weather had turned the cab into an inferno. The gears lacked syncromesh, so the drivers had to double de-clutch prior to each gear change. To add to their troubles, they reached the centre of London in the middle of the rush hour. A stressed Grev went around Marble Arch five times before he could get off it. Finally, Dennis saved the day by changing seats with Grev so he could take over the driving. This was actually achieved whilst the ambulance was still in motion …. not an easy feat to accomplish in London traffic. Grev was later to acknowledge with a wink that, “It was different to driving through Johnstown and Rhos”. Once on French soil, the drivers took turns to drive their right-hand drive vehicle on the right side of the road. From Calais, they drove to Reims, where they visited the beautiful cathedral and camped down for the night. 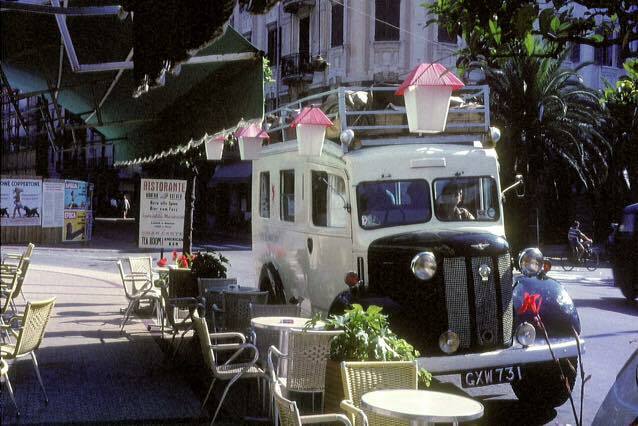 Next day, they continued on through Lausanne, Switzerland and parked the ambulance not far from Lac Leman. It was a beautiful hot day, so after rigorously sampling some local wines in a cafe, the group hired some paddle boats and spent a few hours on the lake. Grev’s boat overturned and his spectacles sank to a watery grave. Whilst on the subject of water, it may be a good time to mention that when swimming, Stan would stick his chewing gum behind his ear. He would do this at meals too, but in his later years he conveniently forgot this “disgusting habit”. 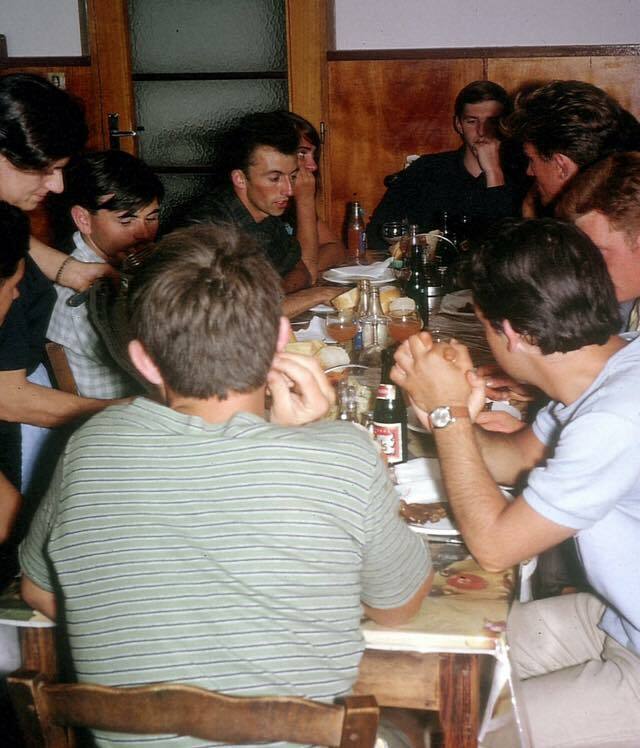 Imagine the lads’ delight on discovering that one of John Hilton’s photographs from their holiday clearly shows Stan placing a piece of chewing gum behind his ear. After their visit to Lac Leman they decided to stay the night in Lausanne and found a nice restaurant. 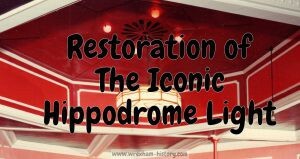 It had a long car port with a wicker roof to shield cars from the sun. Dennis was driving at the time and he reversed into a parking space, forgetting that the ambulance had a high roof rack. When he saw his demolished car port, the commissionaire screamed something at them and would not let them leave until they’d signed a document to say it was their fault. We can only imagine his frustration at having to write down Rhosllannerchrugog as part of the address they gave him. The group is still patiently awaiting the promised bill. The following day it was Grev’s turn to drive and they set off across the Great Saint Bernard Pass to Italy. Eight of the lads relaxed in the back of the ambulance, little realising the panic that had gripped Grev and Gwyn in the front. Grev had gone down through all the gears and the engine was failing, even in first gear. The incline was so steep and the ambulance so heavy, that the brakes were barely satisfactory even on level ground. After jettisoning the nine other lads, Grev forced the ambulance to the summit. In his mind, he could almost hear the death rattle of their ambulance, but nonetheless they survived the ascent and continued on to their base, Alassio, in Italy. As a result of Grev’s hair-raising drive he understandably developed a sweat rash. His friends, in their usual caring and tactful way, fastened a little cowbell to him to warn the locals to steer clear of the “leper”. The lads all headed for Monte Carlo, Nice and Cannes. 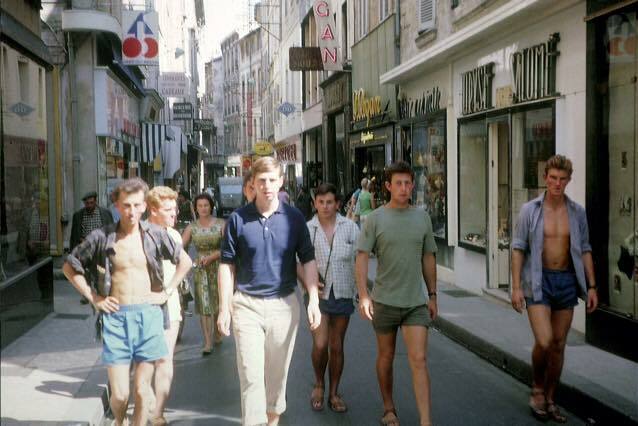 Eight of the group continued their exploring while Grev and Dennis had a few unsuccessful tries on the roulette table at Monte Carlo, where they were eventually shown the door for being dressed too casually. 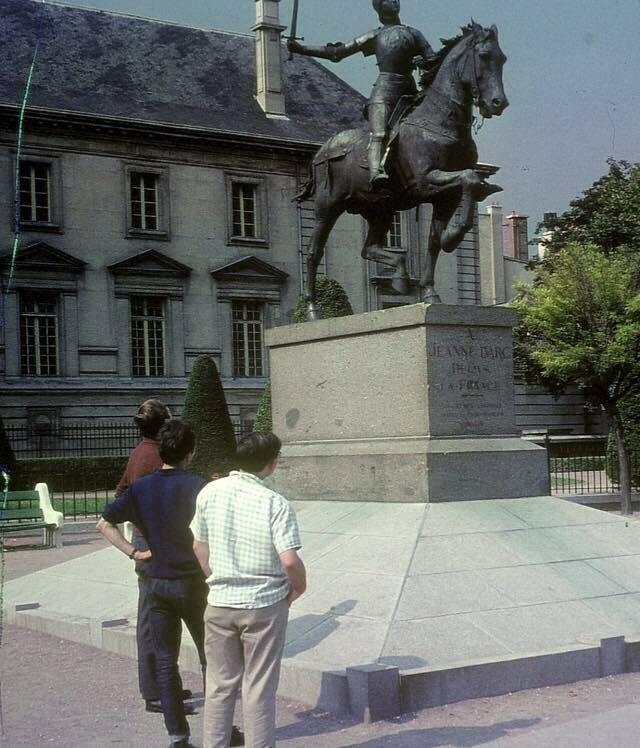 They motored off to Avignon where a disappointed Grev missed out on a tour of Avignon, due to being asleep in the ambulance. 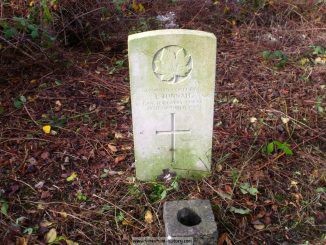 All turned out happily for him though, as he discovered the following week that he’d been posted there for twelve months as part of his university course. On the twelfth day of the trip the ambulance broke down at Chagny in Central France (possibly due to misadjusting of the timing chain). John Sam had been driving and although it was none of his fault he still felt guilty about it. One of the lads managed to wind him up by implying that he’d been driving too fast for the old engine. Sam took umbrage and climbed up onto the roof rack of the ambulance, refusing to speak to anyone. Eventually he ran out of fags and Coch Gilpin managed to coax him down with a Woodbine. They pushed the ambulance to a local garage and the owner did his best. Some of the lads even slept on his garage floor while others luxuriated in the ambulance. The following morning, the lads struggled on at a maximum speed of 20 mph. After using almost a dozen tins of Radweld in an attempt to solve the engine’s overheating problem, their ambulance finally gave up the ghost at Arnay Le Duc in eastern France. They were now 195 miles away from Paris. They left their heavy luggage in the ambulance and the A. A. arranged to tow it back to Folkstone for them. The gang pooled their money together. 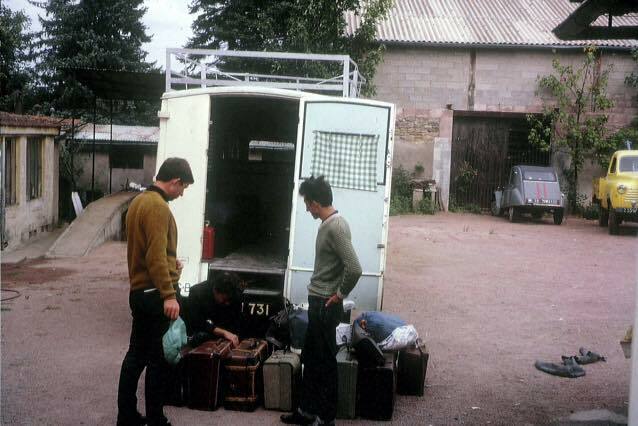 They found they had enough for two taxis to Dijon and then a train journey to Gare du Nord, Paris. On arrival they faced the bitter truth that their pooled finances would only cover the price of about seven cups of coffee between them. One of the group had the good fortune to possess a bank account, so with the help of the British Consulate they were able to borrow sufficient funds to enable them to reach Gare du Nord in Paris. After a night sleeping with winos and vagrants on the floor of the Gare du Nord, they were awoken by the cleaners. The lads approached the British consul who lent them some money to get them back to Dunkirk. Unfortunately, it was insufficient and they blew it all away in Paris. Once again, the A.A. stepped in and loaned them sufficient funds to enable them to transport their equipment back to England. After travelling from Dunkirk and across the ferry to Dover they landed back in Ruabon, where they were met by Geraint Jones, who drove them home in style in his coal wagon. Dennis and Grev hired an almost new Vauxhall Cresta from Tanyclawdd Garage and, accompanied by Dennis’s brother Geraint, drove to Folkestone, where they were reunited with their beloved ambulance, minus Grev’s guitar and several more of their belongings. They attached a tow rope to their ailing ambulance and with Geraint steering it they set along the M1 to Darn Tir. Like most of their journeys, this one didn’t go without incident either. Reminiscent of a Carry On movie, the tow rope snapped and the ambulance overtook them. Thanks to the quick reactions of Geraint, a potentially bad accident was averted. Despite the lack of brakes, Geraint managed to bring the ambulance to rest on the motorway hard shoulder in all the traffic. 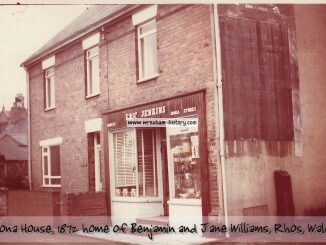 Back home, the ambulance was taken to Rhos Motor Company, which was run by Grev’s dad, Meredith Jones and Danny Williams. Meredith repaired it in about an hour, proving he was much more efficient than the mechanics who had struggled with it in France and at Folkstone. As Grev and Dennis had hired the Vauxhall Cresta for a weekend, they took advantage by driving around in it until Dennis managed to write it off in Plasbennion. As Meredith had skilfully repaired the ambulance, the lads decided to get a little more use from it. It was parked on Darn Tir, beside Dennis’s house and he and the boys often took it out for a laugh. Grev recalls two amusing stories relating to this time. Following a trip to a local dance, two local girls got a surprise when their promised transport home turned out to be an ambulance. Whilst in Italy, Dennis had purchased some Italian air horns for his car and decided to attach them to the ambulance. Once, the two lads found themselves gridlocked in a traffic jam in Llangollen during the International Eisteddfod week. They put the horns on and had a trouble-free journey back to Rhos as other vehicles moved in to the kerbside to let them pass. The ambulance ended its days at a breaker’s yard, but not until the lads had retrieved the tyres, which belonged to Geraint Jones’s coal wagon. 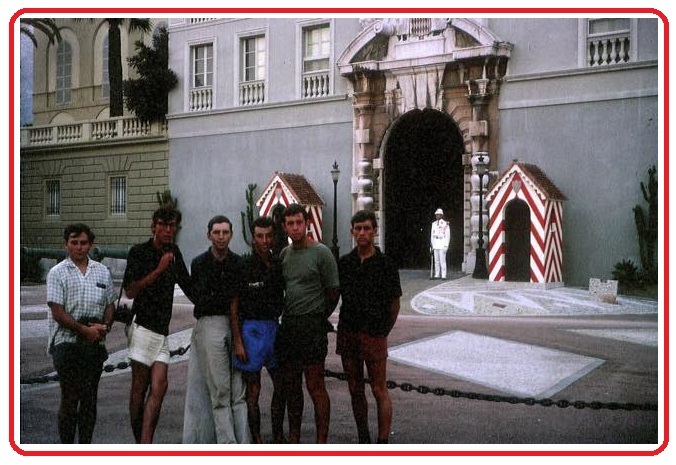 Fifty-one years have passed since that European tour but the fond memories remain clear for those who took part, so let’s meet the lads again as they are now. 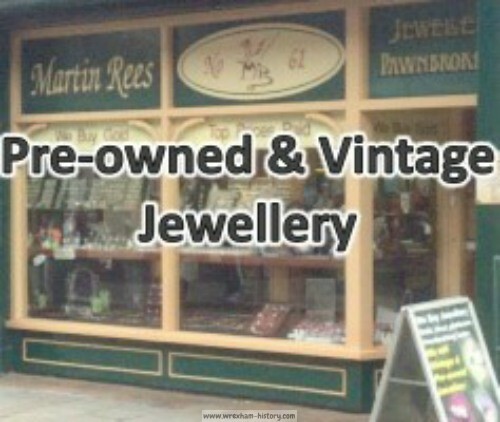 John (Sam) Evans is a retired teacher and local entrepreneur, living in Llangollen. Grevin Meredith Jones, a retired teacher living in Rhos, is now a published author (“Heroes and Gentlemen All” – © 2013). Mervyn (Bob) Thomas is also a retired teacher, living in Wrexham. Huw (Stan) Roberts, O.B.E., is a retired headmaster living in Anglesey. Bryn Williams is a retired B.I.C.C. 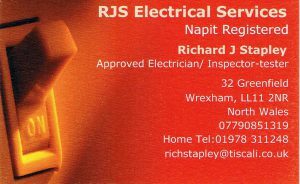 transport Co-ordinator, now living in Rhos. 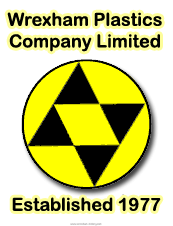 David Wright is a retired fibreglass operative living in Pentrebychan. Sadly, four of the ten members are no longer with us, but we will remember them here – John Hilton Griffiths became a teacher and retired to Wrexham. Gwynfryn (Cochyn) Gilpin also became a teacher and retired to live in Johnstown. Barry Lewis worked as a Social Security officer and retired to live in Wrexham. Dennis G. Jones worked with his brother Geraint in their plant hire business and lived in Ponciau. Huw Roberts, Bryn Williams John Sam and Grev Jones still meet up for a get-together several times a year and the ambulance trip is a favourite topic for conversation. Before his untimely death, John Hilton Griffiths scanned his photos and transformed them into digital images which were passed on to each group member. Reminiscing over these photos has revived many memories which would otherwise have become misty. WRITTEN BY: Dave Edwards and Grev Jones. SOURCES – Ray Dawson Edwards; Grev Jones; Bryn Williams; Huw Roberts; John Sam Evans … with a special thank-you to Grev for his proof-reading.